He is now 84 years old and does more than most younger men could bear. Fr. Fessio, one-time student of Joseph Ratzinger and his publisher is quoted in this article. I remember jumping up and down hearing the news of his election. I know the unbelief and sadness I’ll feel some day when I hear of his death. Let’s pray earnestly for his health, strength and God’s blessing. 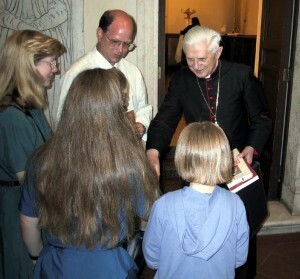 The picture is of me and my family when we presented my books to then Cardinal Ratzinger in the year 2000. Janet and I remember greeting him on several occasions as we passed him in St. Peter’s Square as he walked casually by with his briefcase. 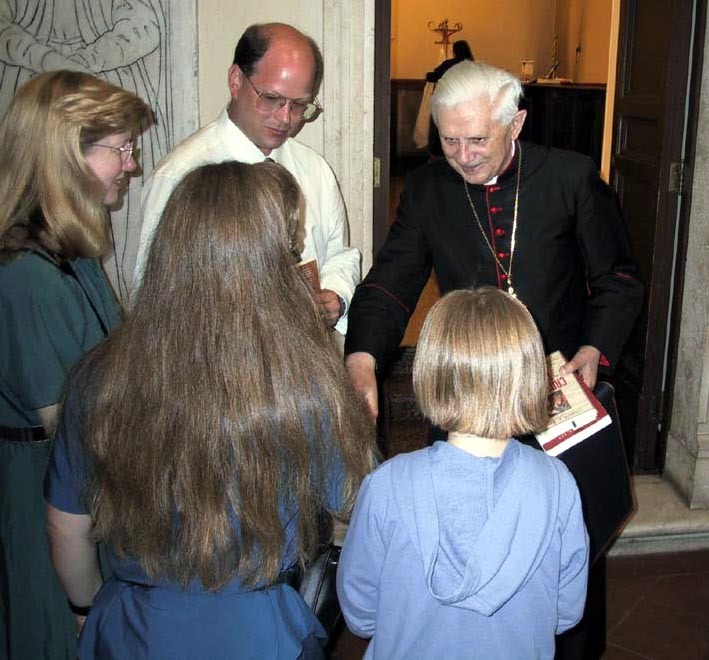 Long live the Vicar of Christ and Faithful Servant of God!